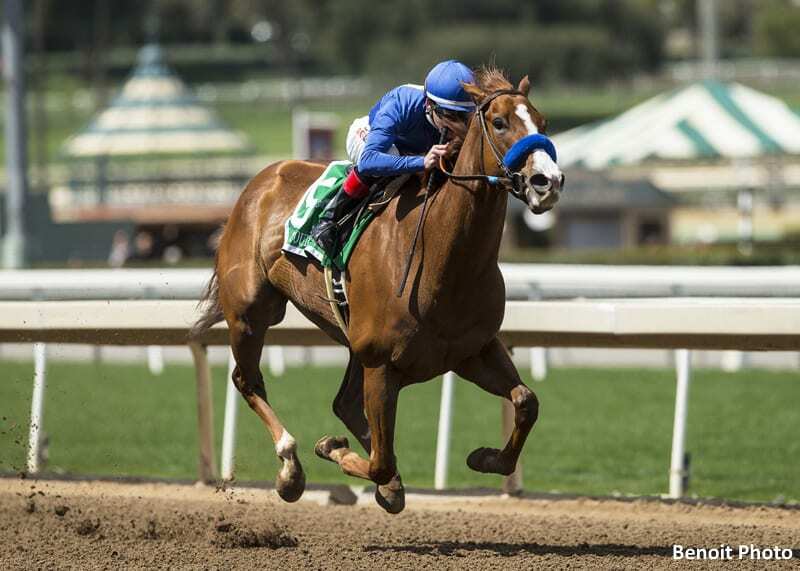 In what shapes up as a truly star-studded affair, Dream Tree, Escape Clause, Marley's Freedom and Paradise Woods headline a field of seven older fillies and mares in Saturday's Grade 2, $200,000 Santa Monica Stakes at seven furlongs. Although she flopped as the 3-5 favorite in the opening day Grade 1 La Brea at the same distance, Bob Baffert's previously undefeated Dream Tree merits top billing as she's joined by stablemate Marley's Freedom, who's been idle since winning a Grade 3, one-turn mile stakes at Aqueduct Dec. 1. Quite possibly the hardest trying Thoroughbred in training, owner/trainer Don Schnell's Manitoba Canadian-bred Escape Clause, fresh off a romping victory going 1 1/16 miles in the Grade III La Canada Stakes here Jan. 12, will cut back in distance as she bids for her 20th win from 29 career starts. Throw in last year's Santa Monica winner, Selcourt, and this year's renewal indeed has the look of something very special. One of the best “feel good” stories in North American racing, she comes off a dominating 5 1/2-length win in the Grade 2 La Canada and cuts back to a distance at which she's a perfect two for two. A winner of eight in a row last year, starting in Winnipeg, Manitoba, on June 8 through Oct. 21 at Centennial Downs, near Calgary, Alberta, this Manitoba-bred has performed with unquestioned distinction in four Southern California starts, which have produced two wins, the first via disqualification in the restricted Kathryn Crosby Stakes at Del Mar Nov. 9 and in the La Canada at Santa Anita. Returned by Schnell to her base at Turf Paradise in Phoenix following the La Canada win, she's had two recorded works heading into the Santa Monica, her most recent a half mile in 47 flat, second fastest of 46, on Feb. 9. A 5-year-old Manitoba-bred by the Unbridled's Song stallion Going Commando, Escape Clause is 28-19-3-3 overall with earnings of $423,500. A neck winner of the Grade 3 Go For Wand Handicap going a one turn mile at Aqueduct Dec. 1, this 5-year-old Blame mare was off as the 3-5 favorite and has been favored in her last six starts, winning five of them. With Mike Smith apparently opting to ride Dream Tree, Drayden Van Dyke, who has won with three out of his four tries with her, gets the Santa Monica call. An easy 3 1/4-length winner of the Grade 1, seven furlong Ballerina Stakes at Saratoga three starts back on Aug. 25, Marley's freedom is a four-time graded stakes winner and is the leading money earner in the field with $815,935. A winner of both the Grade 1 Santa Anita Oaks and the Grade 1 Zenyatta Stakes at age three, this 5-year-old mare by Union Rags has been idle since well beaten going 1 1/16 miles on turf in the restricted Osunitas Stakes at Del Mar on July 20—her fifth consecutive defeat since taking the Zenyatta in September, 2017. A big question mark by any reckoning, she banked $773,890 with Richard Mandella, but will be making her first start for John Shirreffs, who's been pleased with the way she's trained up to the Santa Monica. With an overall mark of 11-3-2-2 and three consecutive six furlong drills to her credit, including a bullet 1:10.80 drill here on Feb. 8, Paradise Woods appears ready as she'll be ridden for the first time by Joel Rosario. A galloping 4 1/2-length winner of last year's Santa Monica, this lightly raced 5-year-old Tiz Wonderful mare was then idle prior to running 12th in the Grade 1 Breeders' Cup Filly & Mare Sprint Nov. 3 at Churchill Downs. With her next assignment coming as the 1-5 favorite in the ungraded Kalookan Queen Stakes going 6 ½ furlongs here on Jan. 13, she bobbled at the break, dueled for the lead and ended up second, beaten 2 1/4 lengths under regular rider Tyler Baze. With Baze opting to stick with Escape Clause, Selcourt will be handled for the first time by Joe Talamo on Saturday. Bred in Kentucky by Abrahams, Selcourt is 8-4-2-1 and has earnings of $299,160. This entry was posted in Racing and tagged amuse, Bob Baffert, don schnell, dream tree, escape clause, john shirreffs, marley's freedom, mopotism, paradise woods, santa anita, santa monica stakes, selcourt by Mike Willman/Santa Anita. Bookmark the permalink.